Caixa com 6 Unidades de Acetona Cruzeiro. - Caixa com 6 unidades de Acetona Cruzeiro. Choose the color, design, texture or shape you want. 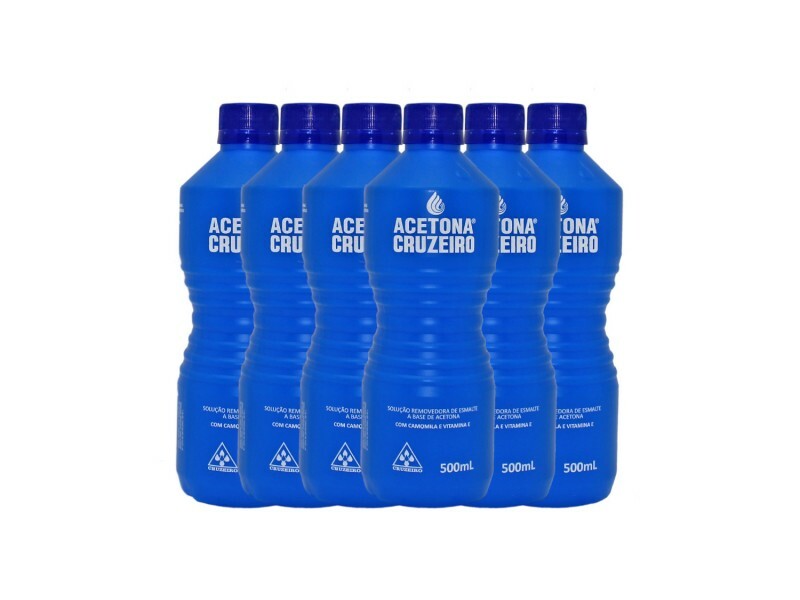 Leave the job of taking care of the nails with Acetona Cruzeiro. Nail Polish Remover Solution based on Acetone with Chamomile and Vitamin E.
The vitamin E is a liposoluble antioxidant with emoliente action that act by restoring the natural nails oiliness, avoding the loss of water, which guarantees hydration, nutrition and shine. The Chamomile avoids the development of fungus. With Acetona Cruzeiro the color is just a detail. Packing of 95 ml or 500 ml. Nail Polish Remover Acetona Cruzeiro.